Every April, a few of the nation’s most “athletic” colleges gather in Tempe, Arizona, for the USA Triathlon Collegiate National Championship, schools such as Colorado, UCLA, Navy, and Air Force. And, starting this year, UChicago. 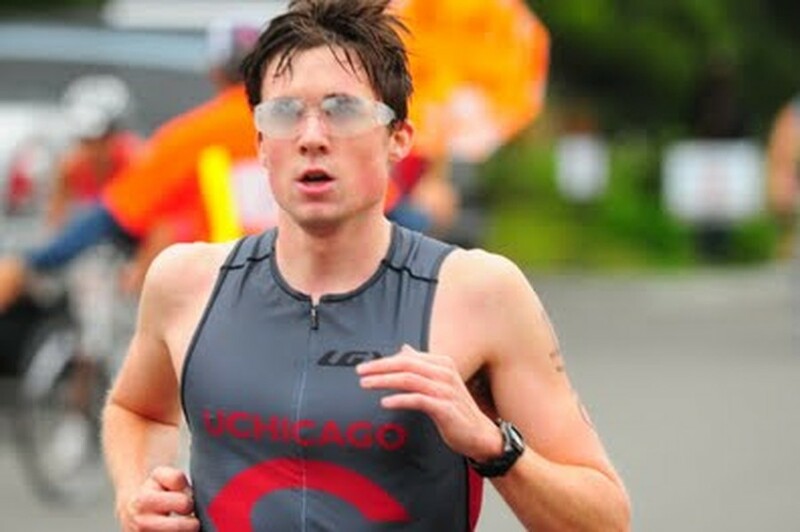 Fourth-year Alex Murray resurrected the Triathlon Club at UChicago in 2012, after a previous iteration headed by Booth students disbanded in 2010. Murray, who swam in high school, built the club from what he said was originally mostly a loose group that met for swim practices to a dedicated core of 15 athletes, male and female, who train together almost every day. In the collegiate triathlon circuit, athletes compete in Olympic triathlons: a one-mile swim, 25-mile bike ride, and 6.2-mile run. The diversity is part of the appeal, said club president Kevin O’Connor, a second-year. “I can decide if I feel like biking today, or if I feel like swimming.” And on race day, “You can have a terrible day in the water, say, and make up for it with an awesome day on the bike,” he said. As with marathons, just finishing a triathlon is something of a feat. There’s no skill prerequisite to compete; according to Murray, it just takes guts. Team members come from all sorts of backgrounds—runners, bikers, and high-school swimmers. The team doesn’t have a coach, so athletes chip in with advice in their areas of expertise. Several members of the triathlon club joined having never completed a triathlon. Once they’re veterans, though, the goal is improvement. Chicago isn’t the best place for triathlon training, but the club makes do. They meet for two swim practices a week in Ratner, a Thursday track workout, and a Saturday long run. Biking happens sporadically, said O’Connor, on one of Hyde Park’s handful of bike trails or on the exercise bikes in Crown or Ratner. The club suffers through training together, but they also make it a point to refuel together. The team has a tradition of eating at Valois after long runs, and one weekend, the team ran a 7.5-mile loop to the Taco Bell on 79th and Stony Island to treat themselves to Waffle Tacos. “The breakfasts at Valois were a foundation for our team growth,” said Murray.